Thanks to the health benefits of flaxseed, it has formed part of the cuisine in cultures all over the world. Flaxseed beats any other cereal in the nutritional and health benefits offered. Being rich in alpha linolenic acid, omega-3 fatty acids, and lignans, it helps fight many ailments like cardiovascular diseases, allergies like asthma, diabetes and inflammations like arthritis. Flaxseeds, sometimes called linseeds, are small, brown, tan or golden-colored seeds that are the richest sources of a plant-based omega-3 fatty acids, called alpha-linolenic acid (ALA) in the world!. Another unique fact about flaxseeds is that they are the highest source of lignans in human diets. Flaxseeds contain about 7 times as many lignans as its closest contender, the sesame seeds. Flaxseed is an outstanding source of protein and fiber that works against various types of cancers and also play an important role in improving the reproductive process among females. It is also good for eyes, hair and skin and helps in keeping the intestines healthy. Flaxseeds have been found to protect against dozens of life-threatening health conditions. Rich in Vitamins and Minerals: Flaxseeds are abundant in most B complex vitamins and vitamin E, including minerals like magnesium, potassium, and iron. Vitamin E is required for skin and bone health. Potassium is vital for nerves and iron is an important component of red blood cells and many enzymes that affect our general metabolism. Rich in Proteins: Flaxseed is rich in dietary proteins with a high essential amino acid index. It provides most of our daily requirements of proteins required by our body. Rich in Flavonoids: Flaxseed is rich in flavonoids which play a vital role in ensuring cardiac health. It also helps reduce hypertension. Rich in Omega-3 Fatty Acids: Flaxseed is abundant in omega-3 fatty acids, next only to fish oil. Omega-3 fatty acid fights inflammation which is the leading cause of heart diseases, asthma, allergies, diabetes, and even certain cancers. Rich in Fiber: Flaxseed is found to be rich in both soluble and insoluble fibres. While soluble fiber ensures proper gastrointestinal functions, insoluble fiber plays a vital role in keeping the heart healthy by lowering serum LDL cholesterol levels.This property of flaxseed also aids in maintaining normal blood sugar levels for people suffering from diabetes. Additionally, flaxseed is abundant in lignans, which convert into chemicals that balance female hormones in the body. There is evidence that lignans aid reproductive health, prevent menopausal symptoms, and counter the effects of type-2 diabetes.Lignans are also known for their anti-viral and antibacterial properties, therefore consuming flax regularly may help reduce the number or severity of colds and flus. Boosts Immunity: The alpha linolenic acid and the lignans found in flaxseed boost the immune response in the body and prevent against inflammatory diseases such as rheumatoid arthritis, psoriasis, and the autoimmune disorder lupus. Beneficial for Dieters: Flaxseed forms an essential part of many diet programmes, since it keeps blood sugar levels in check. Being rich in fiber, it keeps the stomach full and avoids the intake of surplus calories through overeating. 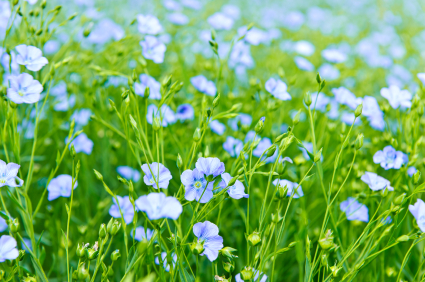 The ALA in flax can help protect the lining of the digestive tract and maintain GI health. It has been shown to be beneficial for people suffering from Crohn’s disease or other digestive ailments, as it can help reduce gut inflammation Flax is also very high in soluble and insoluble fiber which can also improve digestive health and is one of the highest magnesium foods in the world.The fiber found in flaxseeds provides food for friendly bacteria in your colon that can help cleanse waste from your system. Flaxseeds are Gluten-Free: Using flax is a great way to naturally replace gluten-containing grains which are inflammatory where flax is anti-inflammatory. So, flax seeds are great for those who have Celiac disease or have a gluten-sensitivity. 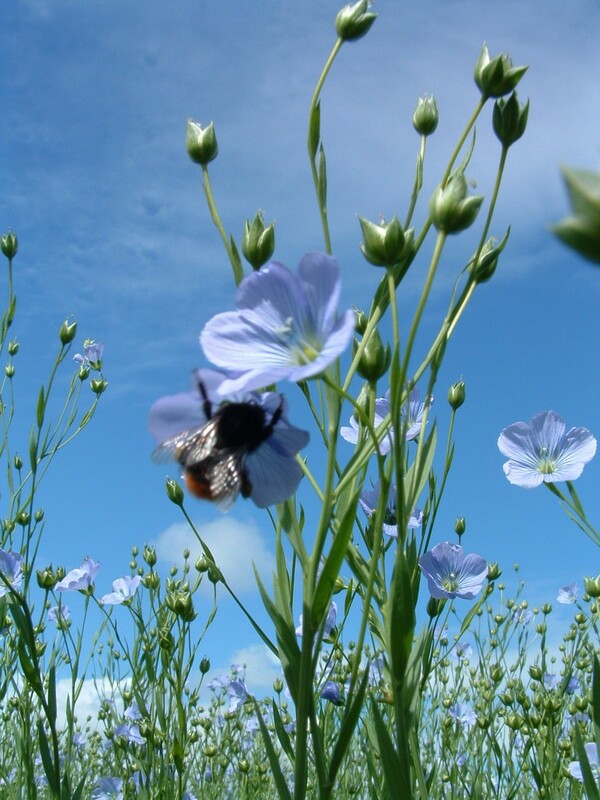 Decreases Pre-Menopausal Symptoms: One of flaxseed’s essential components, lignans, can be used as an alternative to hormone replacement therapy due to their estrogenic properties.The lignans in the flax have been found useful for menopausal women. It can be used as an alternative to hormone replacement therapy because lignans do have estrogenic properties. These properties may also help reduce the risk of osteoporosis. It can even help menstruating women by helping maintain cycle regularity. Prevents Osteoporosis and Cardiovascular Diseases: Due to its estrogenic properties, the lignans in flaxseed reduce the risk of developing osteoporosis and cardiovascular diseases in menopausal women. Ovarian Health: In menstruating women, regular consumption of flaxseed is shown to inhibit cycle changes and a reduction in ovarian dysfunction. Good for Eye Health: Flaxseed consumption can reduce “dry eye” syndrome. Also, the omega-3 fatty acids can reduce the risk of macular degeneration, an eye disease caused by damaged nerves in the eye. Maintains Kidney Health: Flaxseed has been shown to reduce the rate of kidney inflammation in cases of nephritis. Effective Against Skin Disorders: Flaxseed oil can heal inflamed skin areas in cases of acne, rosacea and eczema. The topical application of flaxseed oil results in an increased rate of healing for sunburns. Nourishes Hair and Nails: Flaxseed oil can treat brittle hair and nails and prevent them from splitting. It is also effective against irritating scalp conditions caused by eczema. It can also improve symptoms of acne, rosacea, and eczema. It can also be mixed with essential oils and used as a natural skin moisturizer. Depression: Flaxseeds according to a study by a group of researchers from Japan can help in correcting the imbalance of certain vital chemicals in the brain helping to overcome depression. High in Fiber, but Low in Carbs: One of the most extraordinary benefits of flax seeds is that they contain high levels of mucilage gum content. Mucilage is a gel-forming fiber that is water soluble and has incredible benefits on the intestinal tract. The mucilage can keep food in the stomach from emptying too quickly into the small intestine which can increase nutrient absorption. Also, flax is extremely high in both soluble and insoluble fiber which can support colon detoxification, fat loss and reduce sugar cravings. Weight Loss: A study published in the Journal of Nutrition found that flaxseeds and walnuts prevents obesity and support weight loss. Since flax is full of healthy fats and fiber, it will help you feel satisfied longer so you will eat fewer calories overall which may lead to weight loss. ALA fats may also help reduce inflammation. This is important for weight loss in that an inflamed body will tend to hold on to excess weight. Add a couple of teaspoons of ground flaxseed to soups, salads, or smoothies as part of your weight loss plan. Lowers Cholesterol: Adding flax seeds into your diet can naturally reduce cholesterol levels.The soluble fiber content of flax seeds trap fat and cholesterol in the digestive system so that it unable to be absorbed. Soluble fiber also traps bile, which is made from cholesterol in the gallbladder.The bile is then excreted through the digestive system, forcing the body to make more, using up excess cholesterol in the blood and lowering cholesterol overall. According to Iowa State University researchers, flaxseed has the ability to lower cholesterol particularly among men. This therefore offers a drug-free option to treat high cholesterol levels. Never heat flaxseed oil: All oils rich in monounsaturated and polyunsaturated fatty acids are prone to enhanced oxidation (rancidity) when heated. This means that you would not cook with flaxseed oil, opting for naturally saturated (and therefore more heat stabile) fats like palm, coconut oil or ghee (clarified butter) instead. The key, of course, is to always stay hydrated when using flaxseed, as it can cause significant binding in a dehydrated individual. Care should be taken to consume ground flaxseed to enjoy all of the benefits, since whole seeds don’t release the nutrients effectively. However the very best way to experience flax seed benefits is to consume them in their sprouted form. Soaking flax seeds and then sprouting them eliminates phytic acid and may greatly increase mineral absorption.